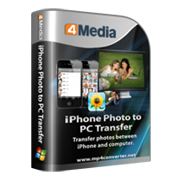 As a simple new photo organizer and one-click iPhone Photo Transfer tool, 4Media iPhone Photo to PC Transfer helps you quickly backup your memories to computer and share with family and friends with ease! Create slick photo albums in minutes, transfer pictures from computer to your iPhone, set album cover with favorite picture, share photos between multiple iPhone, all of these can be done with this iPhone Photo Transfer program in simplest operations. Easily transfer your entire digital photo collections in iPhone to computer in fast speed. Transfer the picture you like from computer to iPhone to take and enjoy along with you. Keep all the videos shot by iPhone from the device to computer to save your precious memories forever. Create stunning photo albums to show off your photos and manage with this easy iPhone Photo Transfer tool. 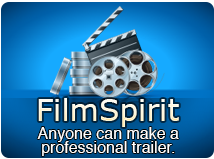 Share your story with family and friends instantly, online or off line. Upload your photos to your YouTube account, share with friends on Facebook and Flickr, print at home and etc. This iPhone Photo Transfer tool fully support all iPhone/iPad/iPod/iPod touch models; iPhone 3G, iPhone 3GS, iPhone 4, iPhone 4S, iPhone 5, iPhone 5s, iPhone 5c, iPad Air, iPad Wi-Fi, iPad Wi-Fi+3G, iPad 16GB, iPad 32GB, iPad 64GB, iPad2, New iPad, iPad mini, iPod Touch, iPod Touch 3, iPod Nano 5G, iPod Nano Chromatic, iPod Classic, iPod Shuffle 4GB. 4Media iPhone Photo to PC Transfer supports connecting multiple devices simultaneously and communicate between them instantly by sharing pictures. Copy pictures from one album to another, rename or delete an album, set album cover with one photo you like the most in just minutes. Recognize your devices once connected, displays devices' information: model, capacity, version number, format, serial number and so on. You can get a nice interface and a clear instruction so as to make the whole process easy and fun with 4Media iPhone Photo to PC Transfer!